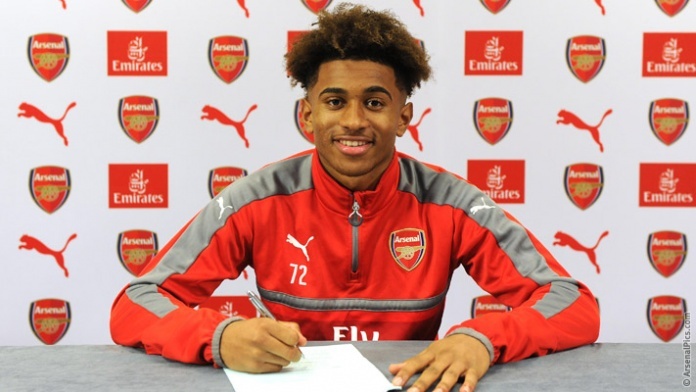 Arsenal have officially confirmed that a professional contract has been handed to young forward Reiss Nelson. Nelson has established himself as a prospect to look out for eve since he joined the club's academy when he was still seven years of age. 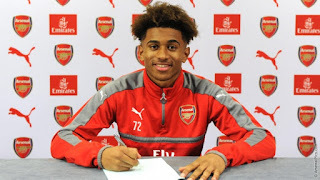 The 17-year-old is a regular in the Arsenal U23 side and has scored twice in his six UEFA League appearances for them. Like the likes of Alex Iwobi and Jack Wilshere, we hope to see Reiss break into the first team and make some impact someday. Congratulations to him as he gets his first professional contract with us.